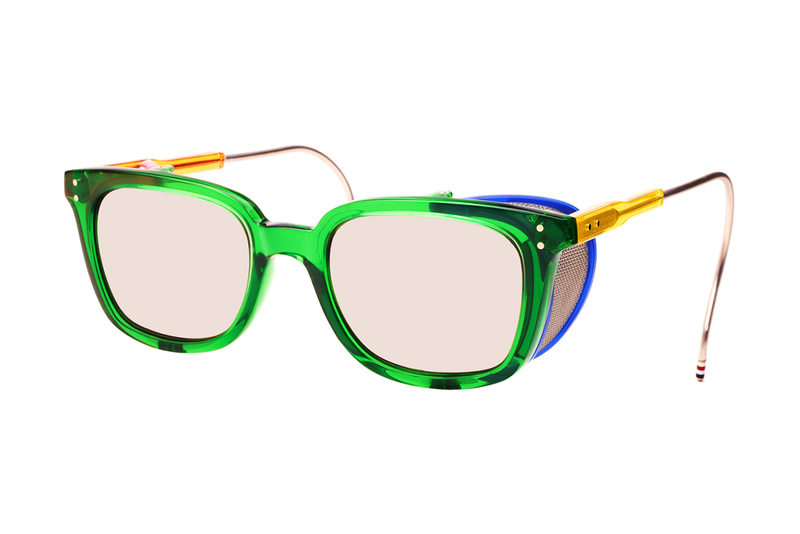 Sort of like Mad Max meets Mardi gras, Thom Browne's 2013 S/S eyewear collection certainly is something to keep your eye on (pun intended) for summer. 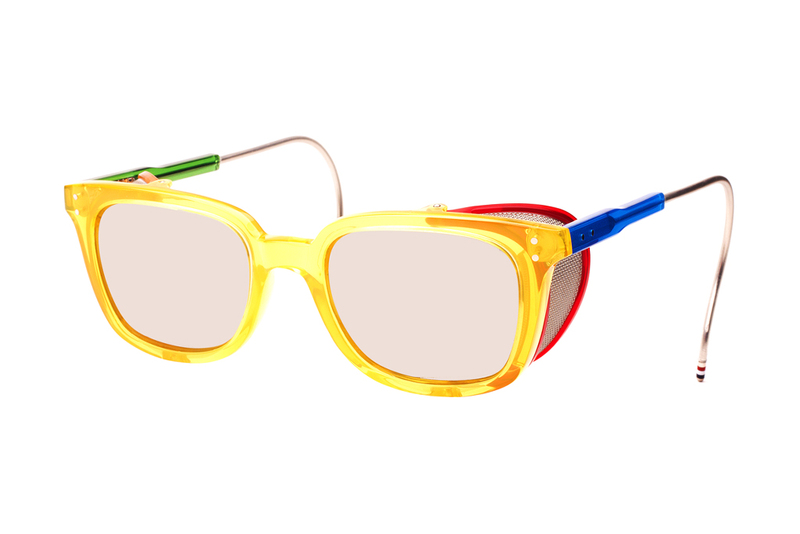 Contrasting frames and arms with mesh wings, the collection of sunglasses/glasses are versatile enough for either a pop of colour whilst you fry in the sun somewhere nearby to your riviera homestead, or as your slave away in your office infront of a 13" glow. Retailing at around US$900, the collection is set to drop later on in the year.